Verizon surprised everyone when the company announced its Wear24 smartwatch the same day as Google unveiled the LG Watch Sport and Style. The watch was discontinued just four months later, probably because not very many people want a $350 smartwatch. 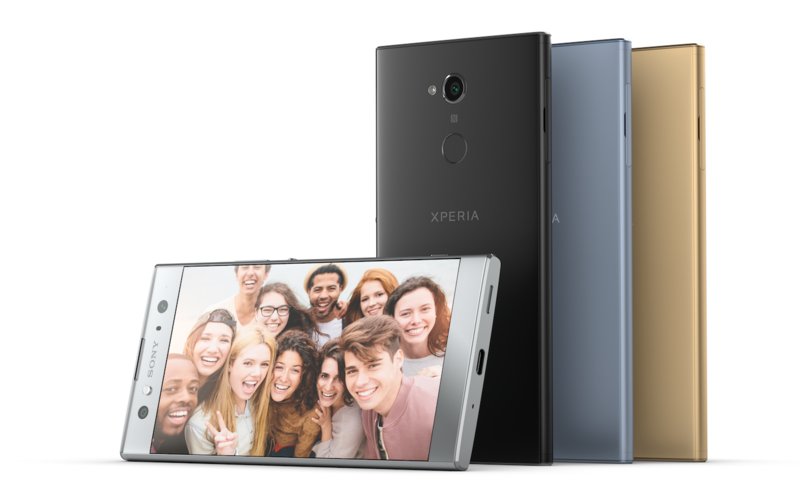 Now you can get it for just $74.97, a $275 savings over the original price. 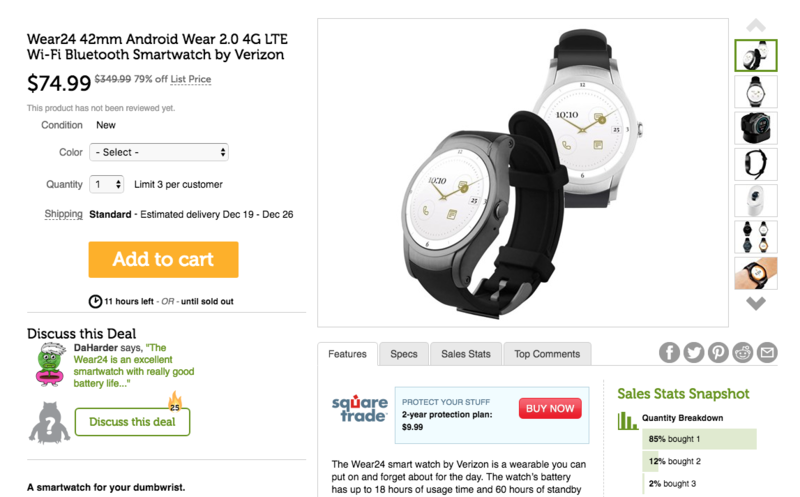 Verizon's Wear24 Android Wear smartwatch originally retailed for $349.99, which was likely a factor in its discontinuation after just four months on the market. We completely forgot it existed until a week ago, when we spotted it on eBay for $129.99 a pop, which we thought was a pretty good deal. 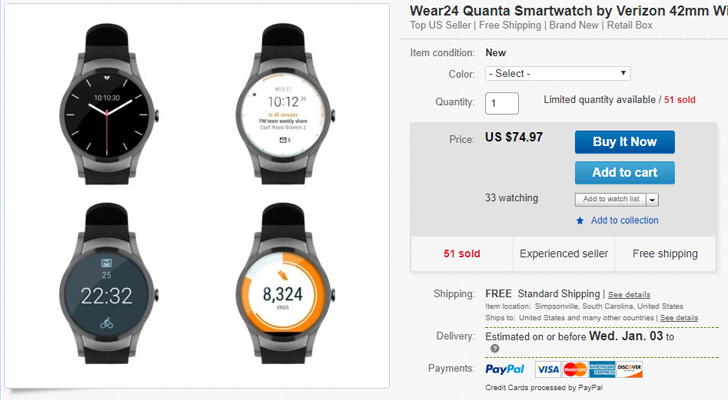 Now the Wear24 has fallen to an incredibly low $79.99, which is amazing given the specs behind it. 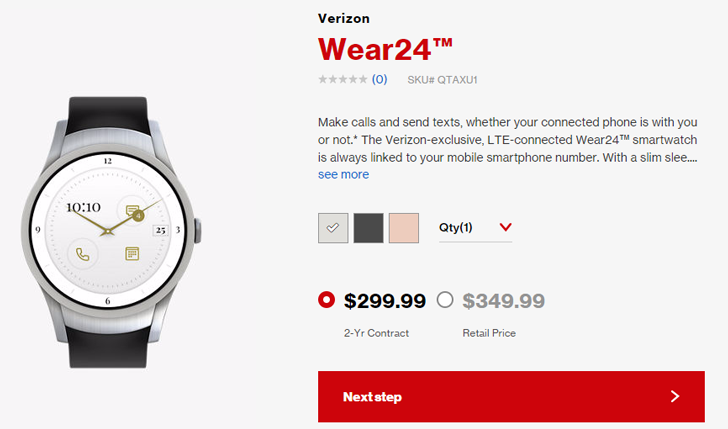 Verizon tried its hand at selling an Android Wear smartwatch earlier this year, but the $350 Wear24 was a flop and Verizon quietly pulled it after just four months. 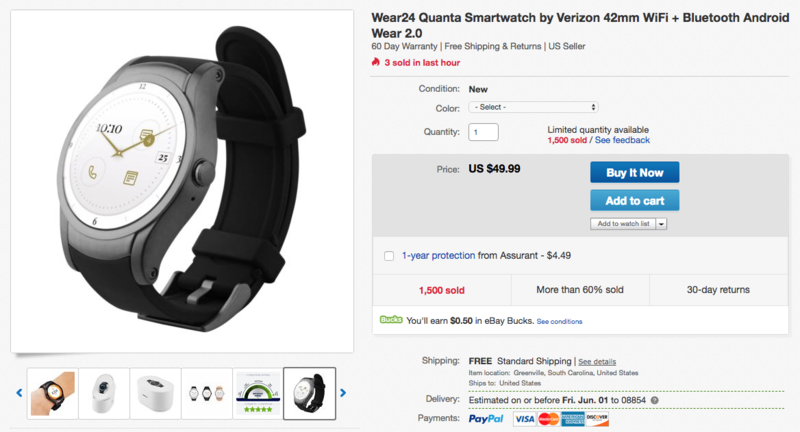 Perhaps this smartwatch will be more appealing now at a steep discount. 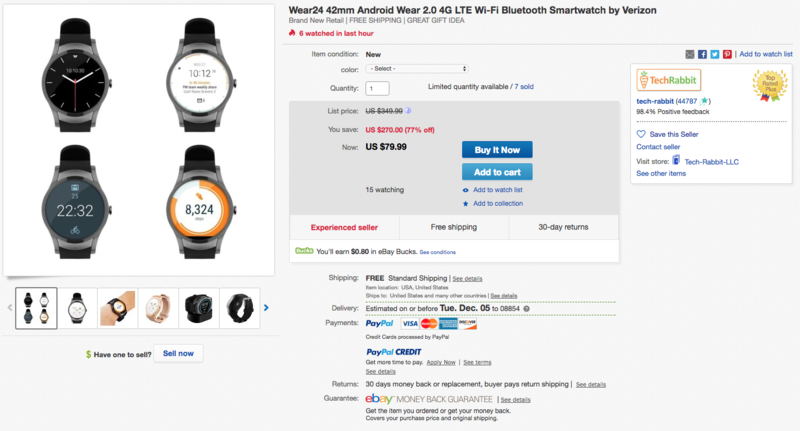 The Wear24 has appeared on eBay for just $129.99, less than half the original price. Verizon's loss is your gain. 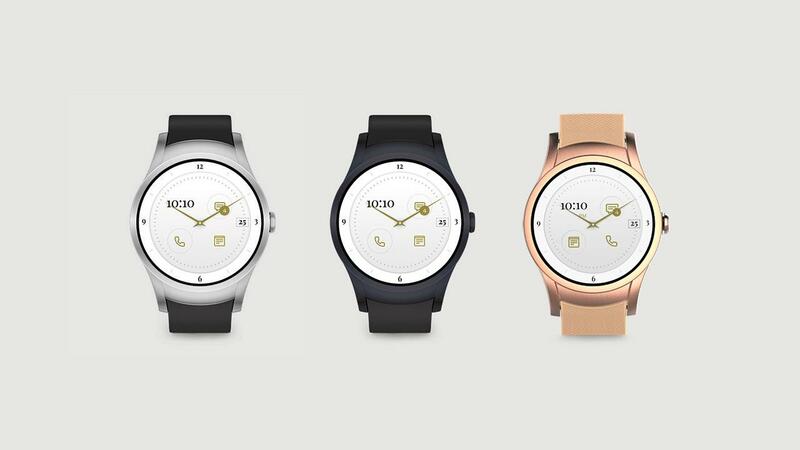 Verizon announced its very own Android Wear smartwatch earlier this year, powered by its LTE network. It started selling the Wear24 in May for $300 on contract and $350 without one. That seemed like an interesting proposition when consumers have shown little interest even in cheap smartwatches. Verizon didn't let this product languish too long, though. We've confirmed with the carrier that Wear24 is dead. 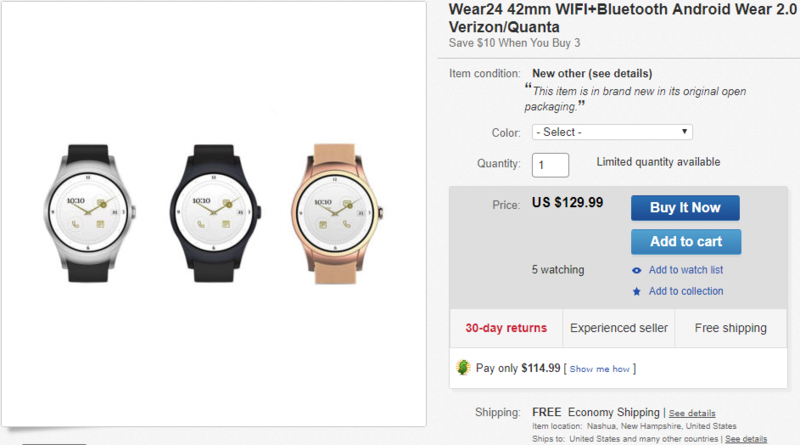 The announcement of Verizon's Wear24 smartwatch was a bit unexpected, as there were no rumors about it beforehand. Then the company went silent about it for a while, then said in April that it would go on sale May 11. Well, now it's May 11, and you can actually buy it.